To celebrate the arrival of the new illustrated edition of the Prisoner of Azkaban, we have managed to get hold of some beautiful prints that have been signed by the extremely talented illustrator, Jim Kay. Spend £20 or more in the shop to be entered into our Harry Potter Prize draw. 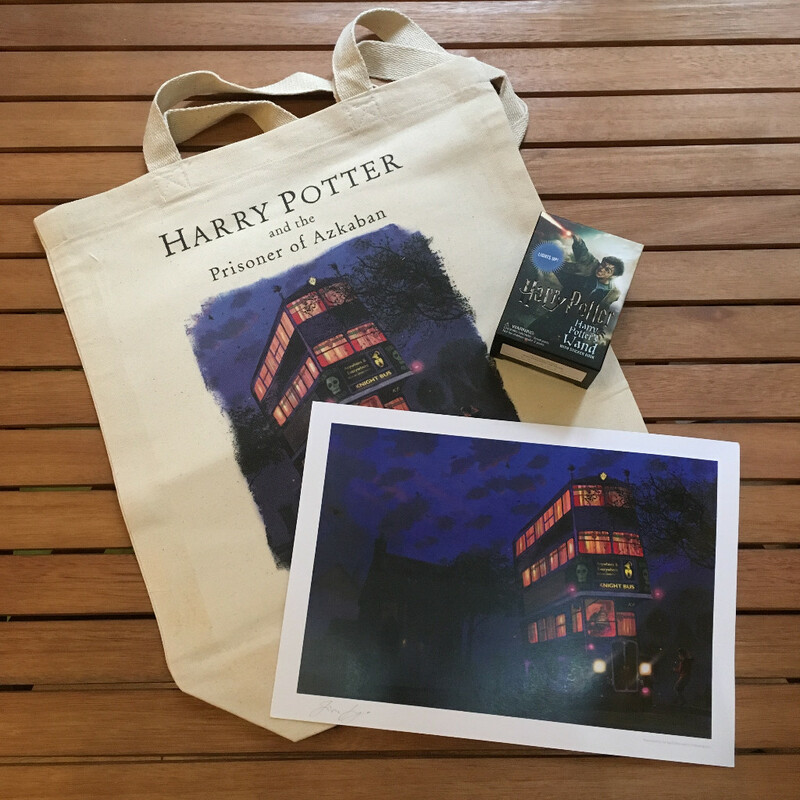 The first ticket drawn will win the limited edition signed print, a Harry Potter tote bag and a choice of a Harry Potter wand or a Time Turner. Second prize will be a limited edition signed print and a tote bag and the holder of the third ticket drawn will win a tote bag. The competition will close on Thursday 30th November so be sure to drop by between now and then to get your ticket!